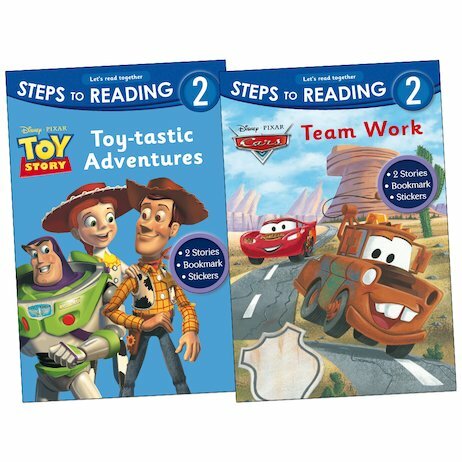 Get little learners off to a racing start with zesty first readers based on favourite Disney Pixar films. Each book includes two read-alone tales full of humour and excitement, plus stickers and a bookmark. From a fantastic new series, these dynamic stories are the perfect way to tempt young children to read on their own. They combine accessible language with punchy colour artwork, plus gripping storylines which are guaranteed to give kids a thrill. With all the coolest characters from Cars and Toy Story to hook them in, they’ll zoom through these stories as if it’s child’s play!